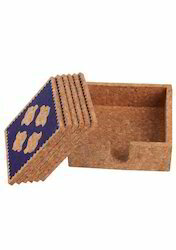 Prominent & Leading Exporter from Mumbai, we offer cork round coaster, cork puzzle coaster set of 4 coaster, 4 stand cork ganesh coasters set, cork floral blue coaster set, cork floral red coaster set and customize cork printed coaster. 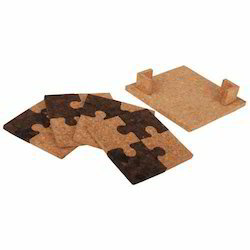 Backed with well qualified and experienced team members we offered an exclusive range of Cork Puzzle Coaster. This is made using pure virgin natural Eco-Friendly Cork with natural resistance to liquids in accordance with the latest technology. 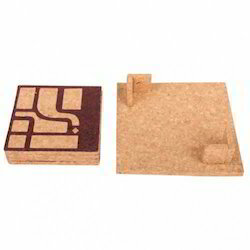 These products are manufactured especially as per the specifications detailed by our clients. Our clients can avail these products at the pocket friendly price from us. 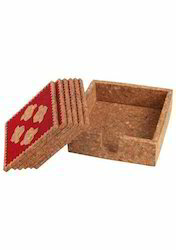 We are involved in offering an excellent quality range of 4 Stand Cork Ganesh Coasters Set in the market. Our range of this product is highly demanded among the clients. Moreover, these products are tested on several quality parameters to ensure their unmatched quality and excellent finish. Our offered assortment of this product is available at market most reasonable and competitive prices. 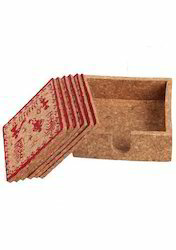 We are one of the conspicuous names in the industry for the inclusive range of Cork Floral Red Coaster Set for our valuable customers. Our range can customize as per client requires their logo or design. Used modern machines and advanced tools to design the entire range of products. Apart from this, we are offering these products at leading market rates. 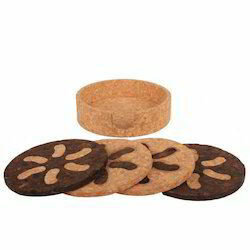 Looking for Tableware Coasters ?